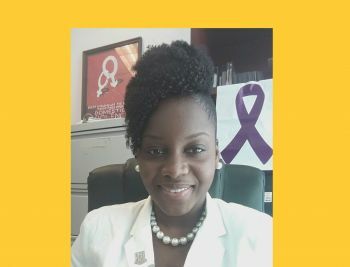 Determined to make the Virgin Islands a better place where both men and women can achieve their full potential, our Young Professional for this week Mickesha M. Delpleshe believes in gender equality and its potential to bring out the best in everyone regardless of their gender. And she is on the road to seeing her vision come to reality, working with the Department of Gender Affairs in the Ministry of Health and Social Development, this young woman is well poised to make a real difference in the lives of people by helping to craft programmes and policies aimed at making persons know they can achieve their full potential. Born on the sister island of Virgin Gorda, our Young Professional attended the Bregado Flax Educational Centre in Virgin Gorda after graduating from the Robinson O’Neal Pre-Primary School in North Sound. Our Young Professional said she was never in any trouble during her years in school, more so as her mother was a teacher. She graduated from high school in 2009 and received a government scholarship to further her education. She then attended the H. Lavity Stoutt Community College and, upon graduating in 2011 with an Associate’s Degree in Human Services, she moved on to the University of the Virgin Islands at the St Croix campus. “At first I wanted to be a lawyer but then I found interest in social psychology and studying the behaviour of people and how they acted and interacted with others so I went on to pursue my Bachelors in Psychology from the University of the Virgin Islands, St Croix,” she said. Delpleshe returned home to the Virgin Islands in 2013 and applied for a job with the Government as she was required to upon the successful completion of her studies. While waiting to be placed in a Government job, she found employment with some supermarkets and department stores on Virgin Gorda. She then received that call from Government and was given a place at the Department of Gender Affairs of the Ministry of Health and Social Development. “I have been working there since as the Administrative Officer,” she said. Delpleshe said that while making her way through the school system, people would accuse her of getting special treatment just because her mother was a teacher at the same school she attended. “I am not outspoken…I would do my work and do it quietly and some persons would tend to underestimate me. They would not believe that I didn’t do the work,” she said. However, she remained unfazed by the doubters and was resolute in her drive to perform well and hence she came out with honours. “At HLSCC I did my work and got good grades. I knew what I wanted. I wanted to do well so that the Government would not have to say that I wasted their money,” she said. 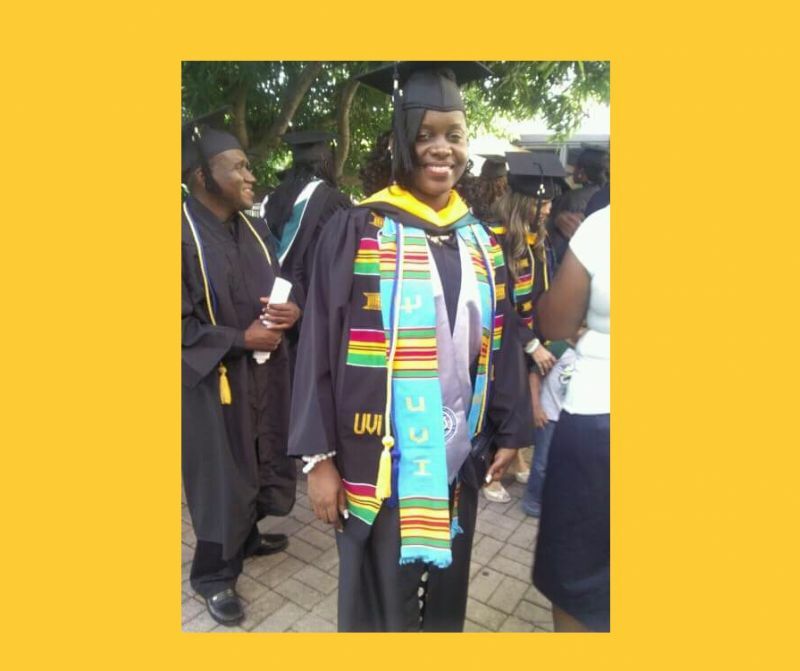 Delpleshe said that while there were no major challenges while at UVI, it was a lot of reading, papers, and research in order to complete her degree. She was also a member of the Rotaract Club and a member of the Psi Chi Honour Society. Delpleshe opined that the work of the Gender Affairs Department is vital in the territory at this juncture. “Right now we are trying to go into the mind-set of the culture that men and women should have equal rights in everything. They should be able to access equal college, equal jobs, equal everything as it is all about equality and equity,” she said. 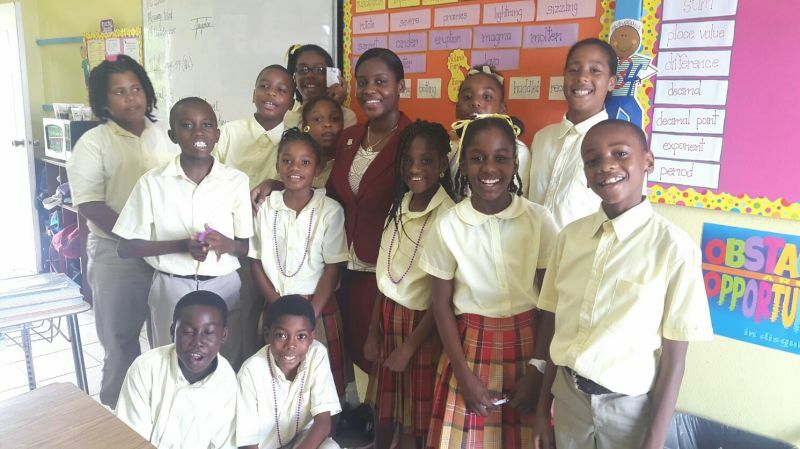 She noted that it is still the mentality of some in the Virgin Islands and in the wider Caribbean that boys can "go outside" and do what they want while girls have to stay at home and cook and clean etc. “What we are trying to do is educate persons to say that is not how it should be. Boys should have the equal chance of staying home and doing homework the same as girls as right now we are seeing that the boys are straying. They are not finishing school, they are not having a decent job. They are on the street smoking and the girls are the ones trying to get an education,” she said. Delpleshe said the Department is all about promoting policies and programmes for the equality of gender. “I normally work on the activities and programmes…every year there are certain observances…like at the beginning of the year we started off with International Women’s Day. Last year we had a big [event] at the museum where we honoured women. And then we have men’s health, where we try and help the men health wise,” she said. 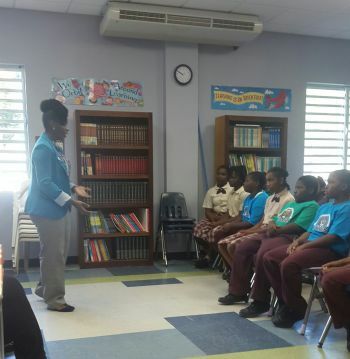 Another key period in the calendar is Domestic Violence Month and for this month she said the Department sends staff into schools to hold talks with the students about domestic violence and healthy relationships. Our Young Professional shared that in a few years she would like to obtain her Master’s Degree in Psychology. She desires to continue her education in the field of gender studies and also hopes to start her own business. Good read. I know her personally and I can say that she is one of the most genuine persons I've met. She does work hard and once she continues to do that, I know she'll do her part in making a positive difference for us all. Yahh Mckesha!!! She is indeed a hard worker destined for greater success. Continue to shine and impact the lives of the community through Gender equality. Good read but why st.croix campus and not st.Thomas. But very good read nevertheless continue to work hard. Thank you!.. to answer why St.Croix and not St.Thomas campus, at the time I had to divert to St.Croix campus based on availability. St.Thomas was already full and I was determined to start my degree that semester and finish within the expected time frame. Interesting what people have achieved but you'd never guess from their outward demeanor. Kudos!! Warmest Congratulations Ms. Delpleshe. Excellent read. All the best in your future endeavors. Love this!! Keep pushing Mickey!! Magnificent article VINO and she’s also a pleasant young lady. Keep up the superb job that you are doing Mickesha!!!! Congratulations Misha... wonderful young lady. Blessings on your future endeavors! Great pick Vino! She has an awesome personality and she's a hard worker. Continue to blossom hun!